Home › MindZBlog › YWA LA MEET UP! Our first YWA LA meet up – ever! 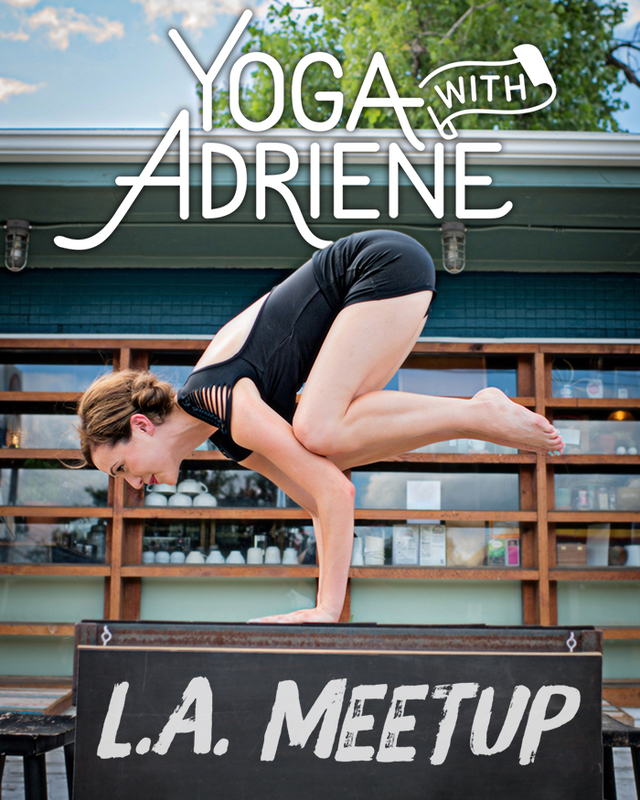 Adriene will be in the golden state to talk to people about movies and acting and yoga and YouTube so we thought we should put together a little community practice and party! This will be a 90 min Find What Feels Good practice suitable for all levels at the beautiful and located at the welcoming Yoga Circle Downtown. In this practice we will strengthen, stretch and soothe. We will connect to our breath, connect to our center and celebrate community. Come with and open mind and heart!